North Korea is upgrading one of its two major missile launch sites, apparently to handle much bigger rockets, and some design features suggest it is getting help from Iran, a US research institute said Thursday. An analysis written for 38 North, the website of the US-Korea Institute at Johns Hopkins School of Advanced International Studies, indicates that North Korea has made significant progress since October in constructing a new launch pad and other facilities at Tonghae, on the country's northeast coast. 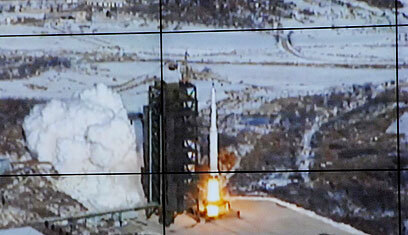 The assessment is based on commercial satellite photos, the latest taken in January. It says design features, including a flame trench covering that protects large rockets from the hot exhaust gases they emit on takeoff, is similar to one at a launch complex in Semnan, Iran, and hasn't been used by the North before. The analysis also identifies activity at an older launch pad at Tonghae, last used for a long-range rocket in 2009, but says it's unclear if that indicates preparations for another launch there. 38 North estimates that construction at Tonghae's new launch pad could be completed by 2016. It says tanks installed last fall in support buildings that would be used to store fuel propellant prior to a launch would be big enough for rockets three or four times larger than the Unha. Analysts doubt the North has yet mastered how to miniaturize a nuclear device to mount on a long-range missile and attain its goal of being able to directly threaten the United States. "This analysis is just another piece of the puzzle indicating North Korea's intention to field increasingly capable long-range missiles able to carry nuclear warheads," said Joel Wit, a former State Department official and editor of 38 North. He said it hinted at "the cozy relationship between the North and Iran as both move forward with developing weapons of mass destruction." 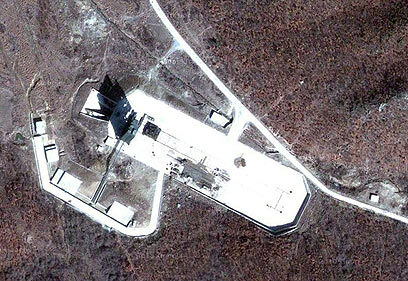 See all talkbacks "Report: N. Korea upgrading rocket launch site"